The accommodation is set in a small residence with shared swimming pool. 400 meters from the shopping center more 'close. The pool is open from 10 June to 11 September. Lido di Spina is a quite and beautiful site situated in the middle of a pinewood on the Adriatic Coast. Wide sandy beach smoothly sliding to the sea. 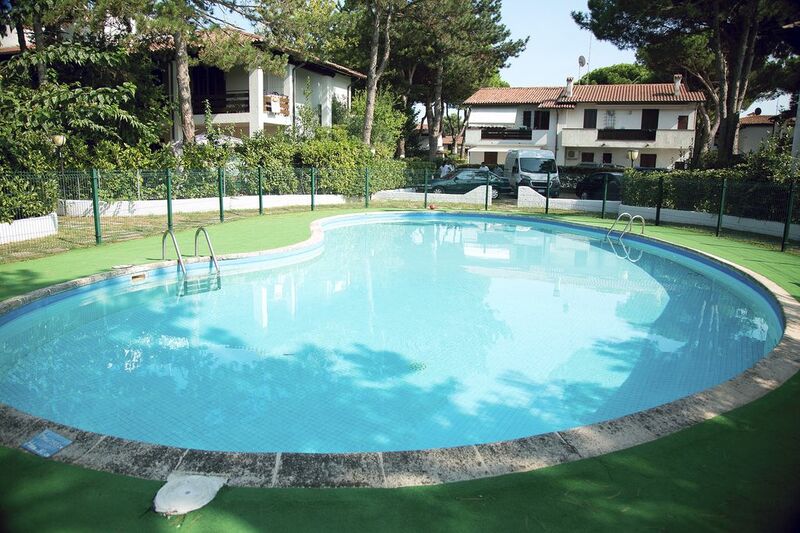 Lido di Spina is a perfect place for a family holiday. Comacchio, a typical 'on water -build' city (6km). Natural and cultural excursions to the beautiful Po Delta and the “Boscone della Mesola”, a characteristic wood, the Mesola Castel and the Pomposa Abbey. Lido di Spina has large avenues...that invite you to go all over with a bicycle or by foot, between the typical white houses and the the green. There are also many restaurants where you can find the typical italian pizza and a range of fish-based menu. For a sport-based holiday Lido di Spina offers a range of tennis courts and soccer grounds, beach-volley contests, minigolf courts, go- kart and wind-surf equipments. If you want to make some shopping, you should go to Lido degli Estensi where you can find many shops and boutiques. Moreover you will find pubs, nightclubs and discos where the nightlife starts in the evening with parties on the beach and in the pubs.